Progress towards rolling back Obama-era fuel economy standards has generated uncertainty across the auto industry. Issued in 2012, the standards require an increase in overall fuel efficiency for light-duty vehicles to around 50 mpg by model year 2025. 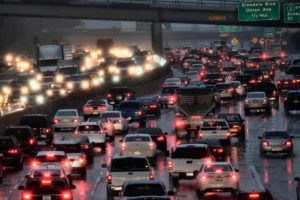 A rollback would freeze progress, lowering the requirement to 37 mpg. California has already indicated it intends to stand by the tougher standards and is likely to take at least 11 other states along with it. Uncertainty in the EV market is amplified by the push and pull between deregulation on the one hand and a possible expansion of the federal EV tax credit on the other. On top of this, an increasing number of states are considering adding or increasing annual registration fees for EVs. All of this uncertainty does not bode well for the market in light of weakening EV sales. Several automakers oppose the proposition to roll back standards, arguing that a split market would create a logistical nightmare with different models being sold in different states. Ford, GM, Volkswagen, Fiat-Chrysler, Honda, Toyota, Nissan, and Tesla have all signed on in support of the bipartisan Driving America Forward Act, which would raise the current cap of electric vehicle sales from 200,000 to 600,000 before tax credit phase out begins. This would likely provide a boost to both Tesla and GM who have entered the phase out period already. Despite support from the auto industry and two prominent Senate, it appears unlikely that the tax credit expansion will move forward. Beyond easing emissions standards, the Trump Administration is seeking to strip states like California of the waiver it received to set their own standards, a unique authority given to the Golden State under the Clean Air Act. This puts many automakers between the Trump Administration and state governments, but also puts states in a position to lead the charge on EV policy. Nine states have adopted California’s ZEV program standards requiring automakers to reach state-specific goals for EV sales and adoption. That number may soon increase to 12 total states with the addition of Colorado earlier this year and indication that New Mexico will also join. According to our state EV sales dashboard, 64 percent of all EV sales occur in ZEV states, largely due to California’s whopping 48 percent share of the national EV market. Legal battles on the horizon will likely extend the timeline before any changes take shape, but regulatory uncertainty is not a welcome reality for an already sluggish auto industry. Automakers want to maintain a 50-state vehicle market to maintain operating efficiencies and realize a return on their existing investments, like electrification.